Cross Wrapped bales that hold waste-based fuel materials like RDF, SRF and MSW stand up to multiple handlings better and longer thanks to Cross Wrap’s unique patented wrapping method. For the Waste-to-Energy and Cement industries, Cross Wrap Bale Opener machines provide high automation that dramatically improves material flow. Not to mention the industry’s lowest machine operating cost. 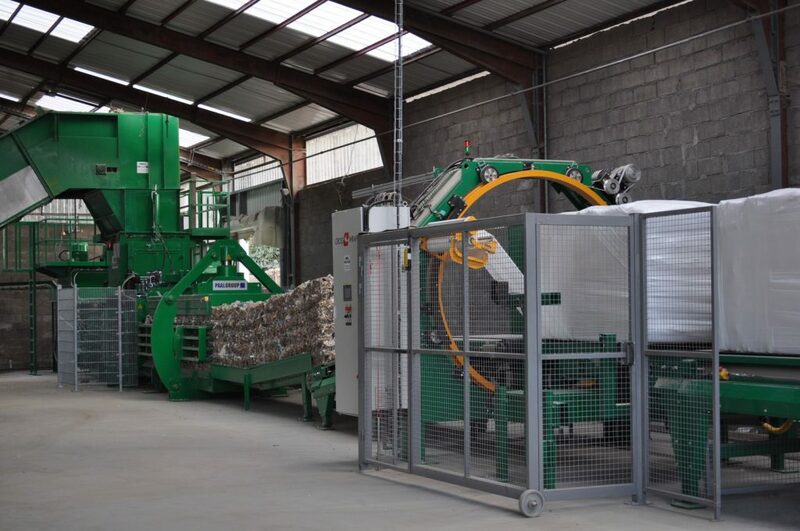 Cross Wrap is a more cost-effective solution for mobile bale wrapping lines too. Cross Wrap machines are vital to efficient fuel handling in WtE plants and cement kilns. Compared to traditional methods of processing loose waste and round bales, Cross Wrap offers the most efficient and environmentally safe solution for the WtE industry’s demanding transportation and storage needs. Cross Wrapped WtE material bales are more tightly wrapped, more dense, more fireproof, easier to handle, and more environmentally friendly. Cross Wrap’s unrivaled protection safeguards WtE materials against the elements, minimizing leakage and litter. Cross Wrapped bales can be stored safely outdoors longer, and withstand transport conditions better. Whatever the challenge, whatever the goal, Cross Wrap can help the WtE and Cement industries handle, wrap, open, store, transport, and reuse baled materials smarter. Solutions for the Waste-to-Energy and Cement industries.